PRO IT Casual Support arrangements allow a client who requires infrequent access to IT support to schedule and pay for support as-they-go. 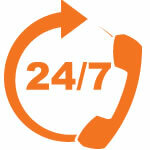 Support requests are raised via the PRO IT Helpdesk and scheduled for the next available support engineer. Often clients who are new to PRO IT trial our services via a casual support arrangement before committing to a more strategic or longer term support arrangement.